Oh Heather, tags are one of my all time fave things to make to have on hand for any occasion and these are gorgeous. 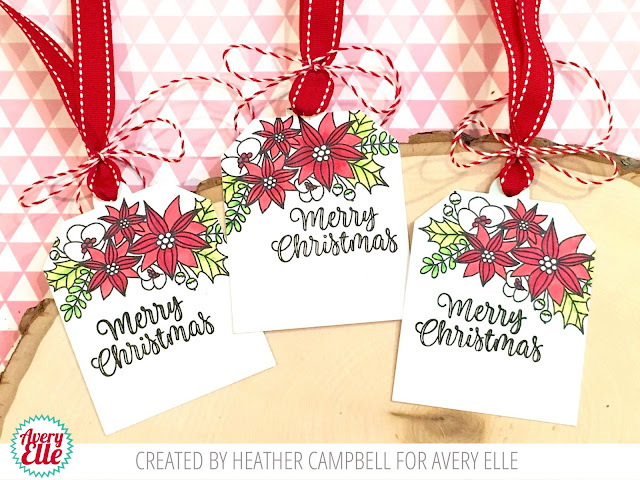 However, with that said, I also like having beautiful tags made ahead for on my Christmas gifts as most people don't expect that... 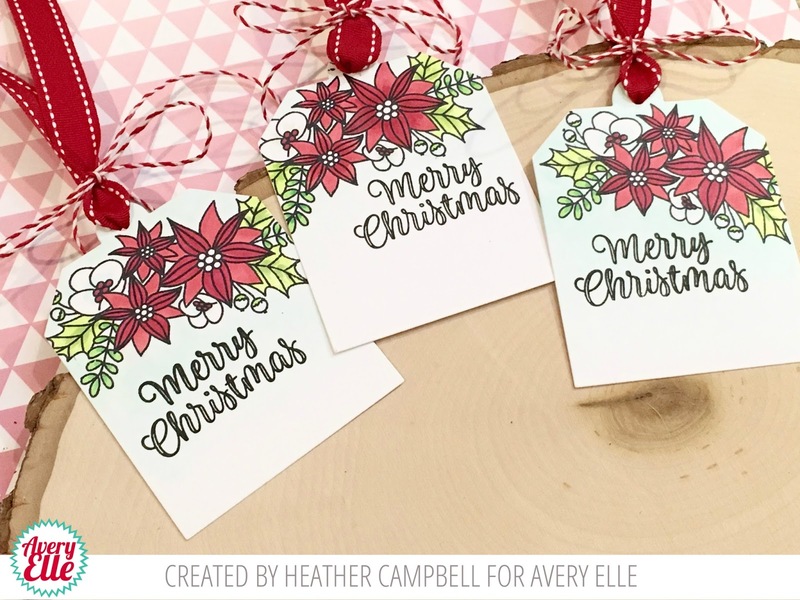 I love this poinsettia stamp and it looks amazing on these tags. Beautifully done!